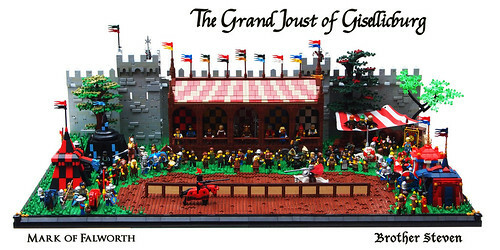 The Grand Joust of Gisellicburg, a photo by Mark of Falworth on Flickr. I don't usually blog my own creations but this one is special. ;) It signifies that me and Steven have finally completed our first book! THE ANSELM SAGA, Part 1 'The Envoy"!